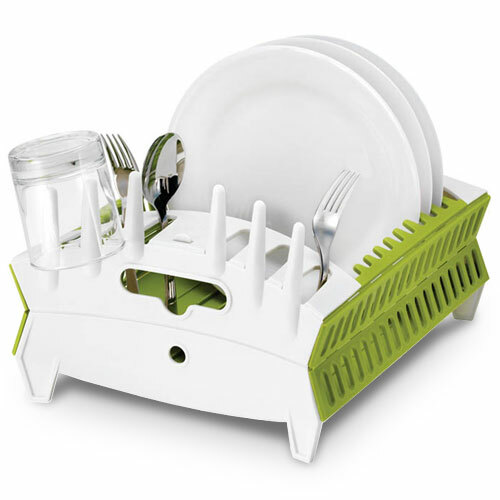 Collapsible dishrack that assembles quickly and easily with a gentle push on each end. Compact design that easily handles most daily needs with slots for dishes, bowls, and utensils. Includes a built-in drip tray that keeps counters dry. When not in use, it collapses flat for easy storage.